Are you looking for a plugin to add titles to your images? You may know that the correct image titles are important for your site’s rankings. In this tutorial, we will share how to automatically add titles to images in WordPress. Having the brief and precise image titles will help your WordPress SEO, since the search engines will be able to read your images and display them to the right audience. Uploading hundreds of images on your site and writing the titles manually may take hours. You should use a plugin that can automatically do this job for your images and save your time. 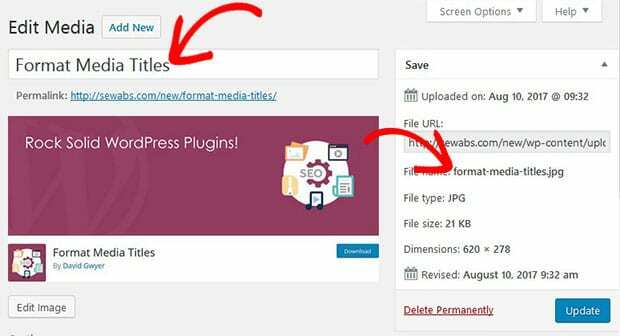 The first thing that you need to do is to install and activate Format Media Titles plugin on your WordPress admin backend. To learn more about installation, you should check out this guide on how to install a WordPress plugin. Once the plugin is activated, simply go to Settings » Format Media Titles. It will show you an extensive list of settings that can help you in writing the best titles for your images. These options will effect the titles for all the new images that you add after you hit the Save Changes button on this page. Now you should add a new photo in the WordPress Media Library and see how your changes reflect in the image title automatically. You can change these settings anytime as you need. That’s all. 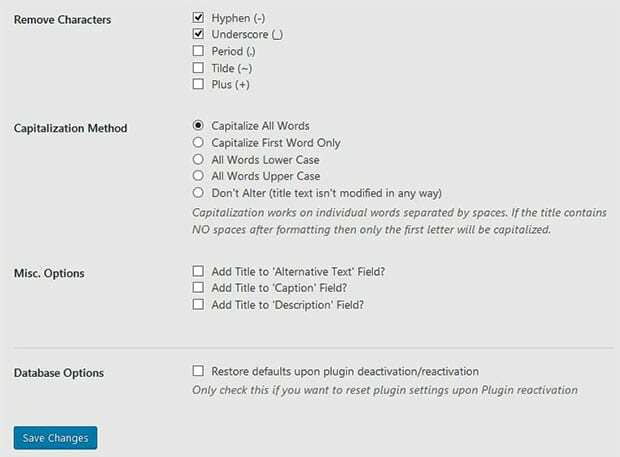 We hope this tutorial has helped you to learn how to automatically add titles to images in WordPress. You may also want to check out our guide on how to fix the image desaturation issue in WordPress with Adobe Photoshop. In case, your WordPress images are not ranking, you should check out this ultimage WordPress SEO guide for beginners.